Born with an incredibly low IQ, Charlie Gordon has been chosen for a surgery that scientists hope will increase his intelligence. Charlie is a dimwitted man in his thirties, and all he wants is to be like everybody else. Charlie’s upcoming operation has already successfully been tested on a lab mouse named Algernon. Shortly after the treatment takes effect, Charlie’s intelligence expands until it exceeds that of the doctors who did the operation. It appears as though this is a scientific breakthrough, until Algernon suddenly deteriorates. There is only one question spinning through everybody’s mind- will the same thing happen to Charlie? 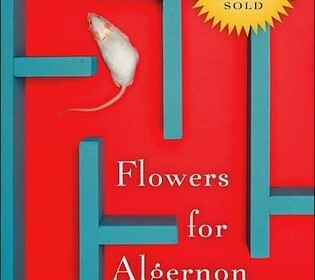 “Flowers For Algernon,” by Daniel Keyes was engaging at first but didn’t captivate me all the way through the the story. There were parts of the story that were very action-packed, and some that were very dull and uneventful. I do not recommend to read this book unless you are into slow and boring reads. If the action was more spread out throughout the book, this would definitely be a better read. If someone ever asked for a preference on a book, I would not recommend this one.